Filmmaker Terik King tells the story of Rashawn Brazell in Rashawn’s Desire. 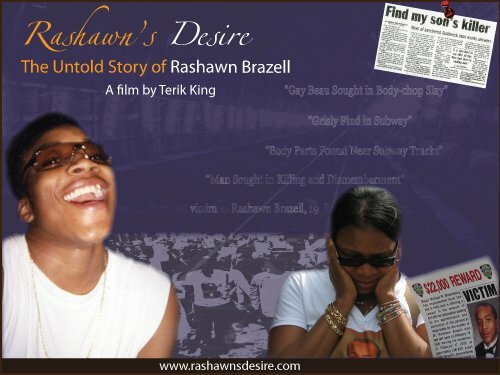 Rashawn’s Desire – The Untold Story of Rashawn Brazell is a documentary exploring the life and death of Rashawn Brazell, whose gruesome 2005 murder is considered one of the most horrific unsolved crimes in New York City history. To find out more about this film click here.